Busboys and Poets opened a long-awaited location in D.C.'s Anacostia neighborhood. Here's a look inside, and owner Andy Shallal's comments on what gap he hopes it will fill in the area. Busboys and Poets opened a long-awaited new location in Anacostia on Tuesday, and owner Andy Shallal said he hopes to give Ward 8 residents a new place to enjoy themselves in the midst of a food desert with few sit-down restaurants. D.C. Mayor Muriel Bowser cut the ribbon on the storefront Tuesday afternoon. East of the Anacostia River, food options are scarce. Between Ward 7 and 8, there are only three supermarkets, and few dining options. Shallal said he wants to help change that. 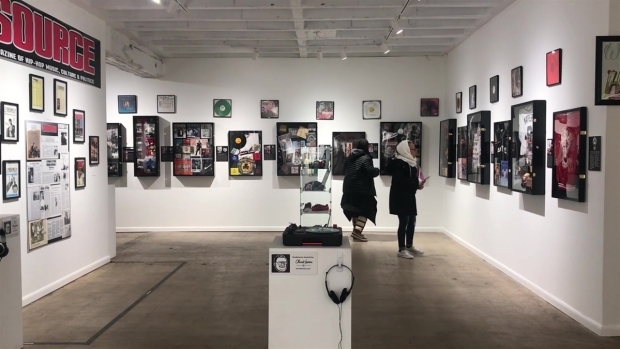 A few hip-hop legends were recently on hand at D.C.'s pop-up hip-hop museum in Southwest D.C. Here's a look inside. Busboys and Poets has six other locations across D.C., Maryland and Virginia. The business gained local fame through community events, books in each location and menus that accommodate dietary restrictions. The new Anacostia location has a private room named after "Mayor for Life" Marion Barry. The room will be used for performances and events. 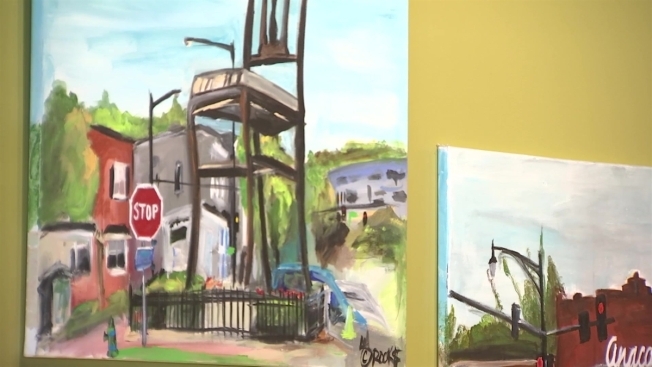 Busboys and Poets commissioned artists to create pieces that represent Ward 8. There's an entire wall of work from students from Congress Heights in collaboration with NationHouse Arts. Some locals have expressed concern that Busboys is contributing to gentrification. Shallal instead blamed "how land is allocated, how government decides to tax [and] how rent control happens." The owner said he's excited for the new location’s role in the Southeast D.C. community. “[Anacostia] is an area that’s vibrant, that’s exciting. This is a community that wants to have … options. That’s why we’re here," he said.